Many residences continue to opt for hard flooring throughout, particularly on ground and basement floors. With a multitude of flooring products on the market, there is something for everyone and most options also offer a favourable degree of practicality. I would always urge hard flooring selections to be considered in conjunction with rugs. Not only do they aesthetically bring warmth, character and soul, but they can also help spatially, acoustically and physically. With an ever-increasing trend towards open plan living, a rug can be used to subtly define the function of an area; a space for lounging, study or play, a statement entrance or to accentuate direction of passage. The possibilities are endless! The market offers an abundance of stunning flooring materials, stone and ceramic to name but a few, as well as the ability to beautifully restore existing materials. These materials, however, can accentuate noise as it bounces off their hard surfaces. 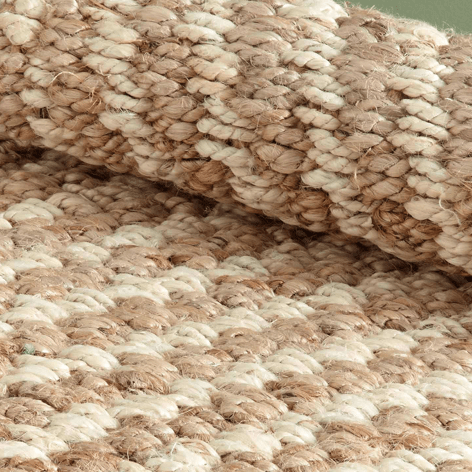 With three young boys charging around in all manner of make believe scenarios, noise reduction is a priority in our household and the use of rugs has significantly helped absorb some of their enthusiastic cries! As an alternative to carpeting, rugs also bring a welcoming sense of comfort underfoot, and perhaps particular to young families, comfort “underknee”. In the early days of family life, it seems that many hours are spent floor bound whilst various Lego cities, jungles and castles are constructed and the benefits of something soft to kneel on go without saying. 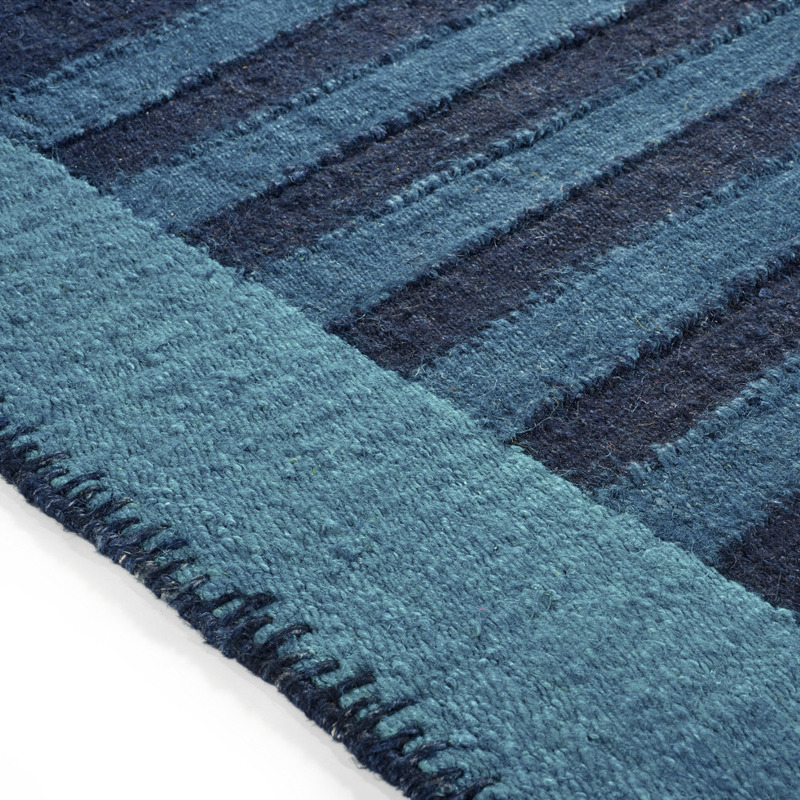 There are many rugs to choose from and they are available in a wide range of materials, texture and designs. A rug can be selected to sit harmoniously or in stark contrast to a scheme, as well as simply reflecting the key elements with careful detailing. 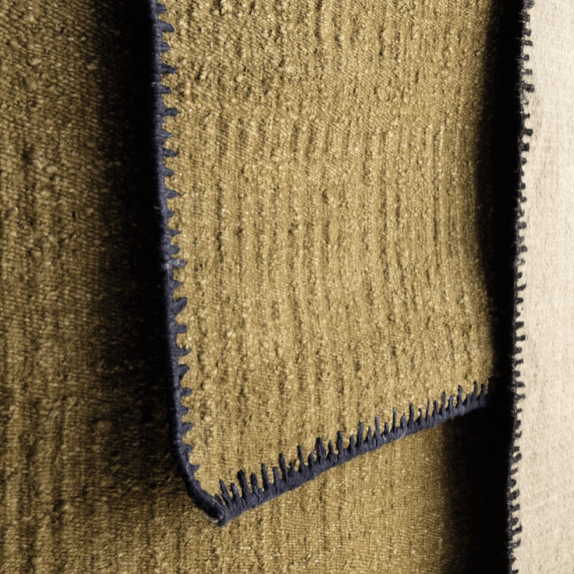 A linen or leather border, for example, can be integrated to a rug design to subtly link it to a scheme. 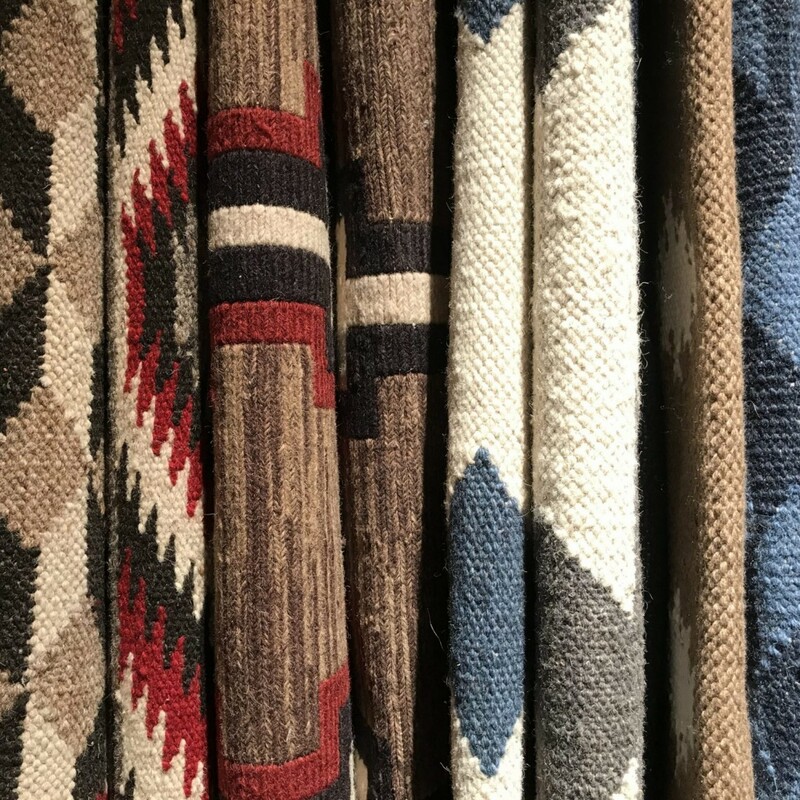 Some of our favourites are the jute rugs from Soho Home, a selection of flat weave rugs from Ralph Lauren Home, cow skins from Alma Leather and our own Ahora and Atacama linen rugs. In keeping with our design ethos, they are all are constructed from the finest natural materials and incorporate exquisite designs and detailing. All of these wonderful rugs add a little something different, but all something special and can be incorporated in a multitude of ways. The cow skin is just as at home in a slick bachelor pad in the city, as it is in a rustic mountain chalet. 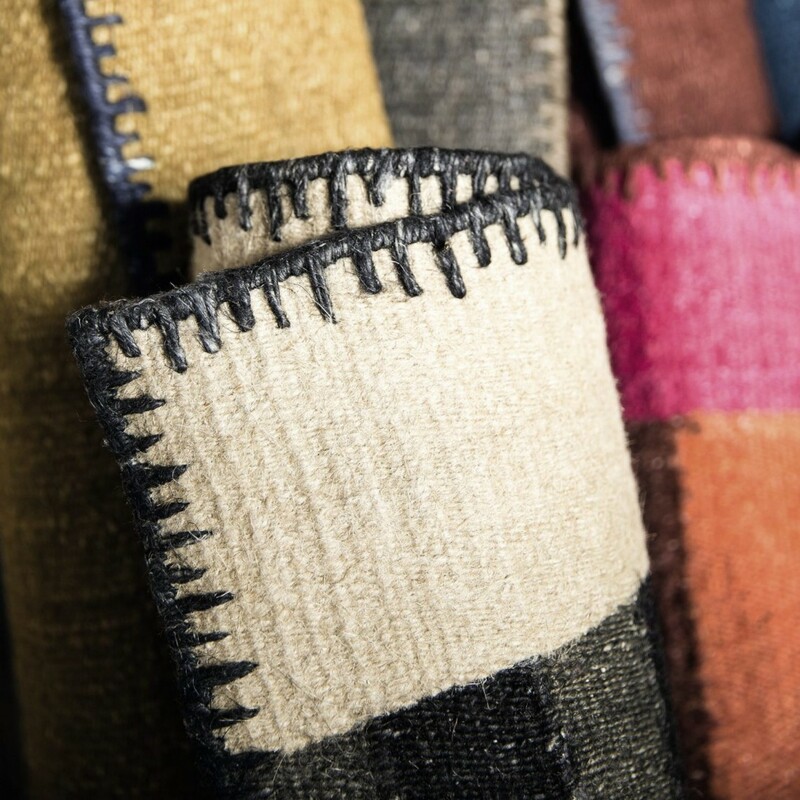 Rugs really are fabulous and add a little magic to any interior! I love the look of wooden flooring but I do worry about it being a bit cold and hard and showing up all the dirt from the mess my two little girls make. But a giant area rug would help to combat that I guess. Hi Stacey. Absolutely right. A rug will bring a real sense of warmth to the room and complement the wooden flooring beautifully. I LOVE rugs, the bigger the better!! We have laminate flooring in our living room and we got a gorgeous large rug for the area .. it not only makes the room look good but also is safe for our pug girl, who loves to jump off the sofa all the time!! Thanks for commenting Evija. What a wonderful image: your beautiful pug bouncing from sofa to rug! Love it. So true Ricky! 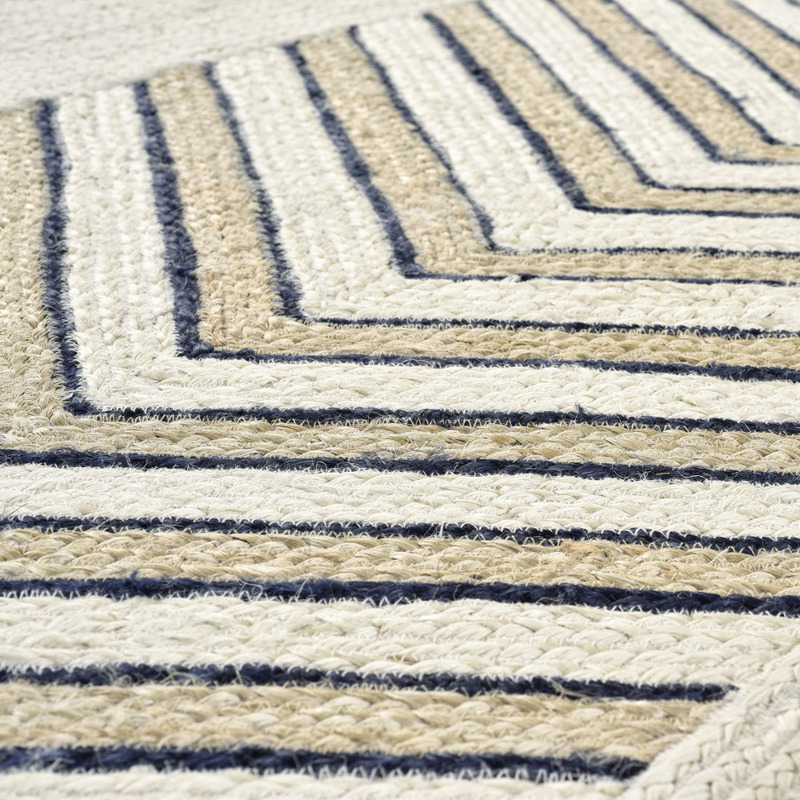 Rugs play such an important role in zoning out a room! Thanks so much for your lovely comment! If there is anything you like in our store, do let us know. We may be able to offer you a special discount. I love rugs, I have wooden flooring downstairs and whilst I like the look, it would be so stark and cold without rugs. They are a great way to transform a space too, your selection is gorgeous.